The group 100% is continuously rising after releasing their 6th mini album ‘RE:tro’. 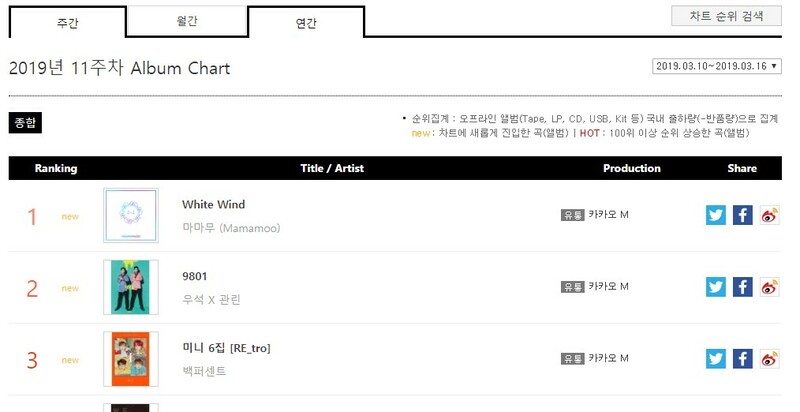 Last 14th, 100% who released the new mini album ‘RE:tro’ has ranked Top 3 in ‘2019 GAON weekly album chart’ (2019.03.10 ~ 2019.03.16) after Mamamoo who ranked 1st and Wooseok X Kuanlin who ranked 2nd. Also, they ranked 7th in ‘M Countdown’ of Mnet on the 21st. The 6th mini album ‘RE:tro’ of 100% contains total of 6 tracks and the musical spectrum of 100% can be felt. Also, the 100% growing more musically can be felt through the new album since it contains the self-produced song of the member Rockhyun and Hyukjin, and Chanyong has participated in the lyrics of all tracks. Especially, the title song ‘Still Loving You’, as the song produced together with the hit maker Cho young Soo once again, has the addictive refrain and is very impressive. Meanwhile, 100%, who is continuously rising as they came back, will continue their activity with their title song ‘Still Loving You’ and has presented their new song last 22nd at ‘Music Bank’ of KBS2.